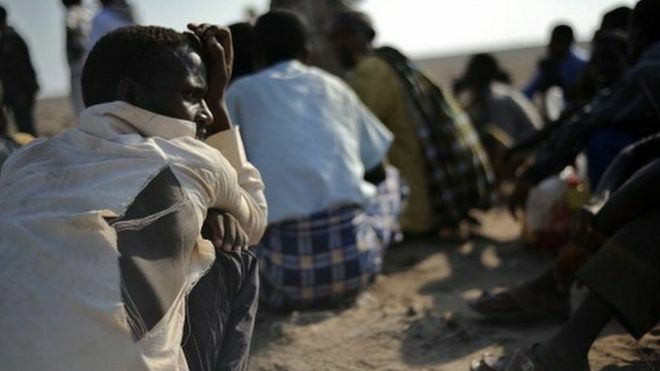 Ethiopian immigrants from the Oromo region in Djibouti on 5 December 2010 Image copyright AFP Anti-terror rhetoric by Ethiopia's government could escalate into a brutal crackdown on protesters, human rights group Amnesty International has warned. 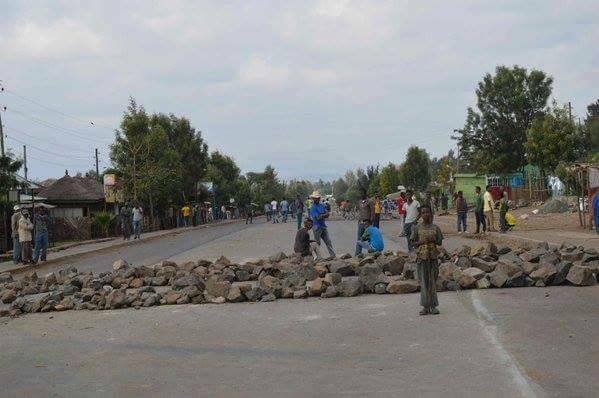 The government has accused Oromo protesters of links with terror groups and trying to start a revolution. Prime Minister Hailemariam Desalegn said on state television on Wednesday evening the government knows that "destructive forces are masterminding the violence from the front and from behind". He added that the government "will take merciless legitimate action against any force bent on destabilising the area". At the last census in 2007, the Oromo made up Ethiopia's biggest ethnic group, at about 25 million people out of a population at the time of nearly 74 million. Oromia is the country's largest region, surrounding the capital, Addis Ababa.